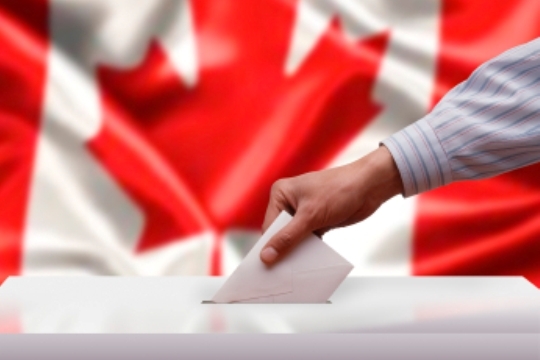 Should Elections Canada have more voting booths? Absolutely. More employees and longer voting time slots? Sure. Better overall management and a more efficient way of getting people through the lines? All for it. But none of these should result in a single person walking away from that line. Not a single person. For context, last Wednesday evening I was celebrating the Blue Jays’ game 5 win in the ALDS while having some drinks with two good friends, one of whom is from Venezuela. I told her the same story, and she countered with one of her own. The last time Venezuelans went to the polls, she waited over eight hours to vote; and that was in an election where it was extremely likely that her vote would not be looked at, discarded, and rendered meaningless. And, still, she waited more than the average Canadian works in a day for the chance to express herself. 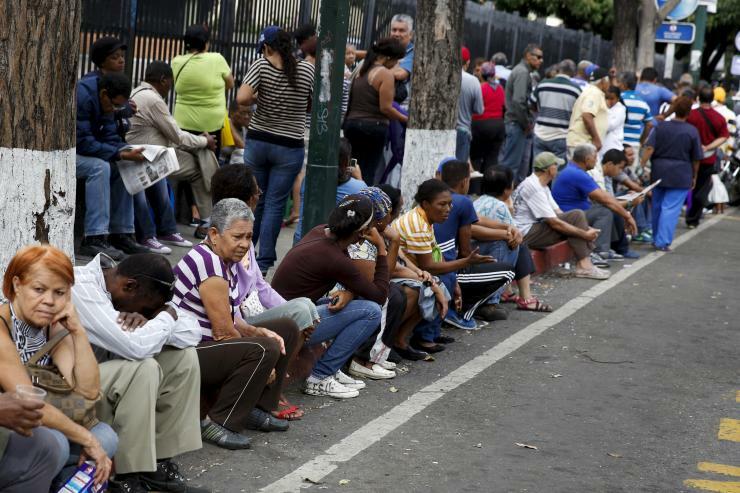 Venezuelans line up to buy staple items outside state-run Bicentenario supermarket in Caracas. Source: Reuters. In that same country, individuals and entire families line up weekly — they would do so daily if the government permitted them to — for essential items like milk, bread, and even sometimes water. In some cases the lines can span city blocks. Shortages have gotten so bad that families are given limits on how frequently they can visit a supermarket, let alone return items to the shelves due to longer than usual lines. Similar scenarios play out on a daily basis in many other parts of the world. But that’s there and this is here, which is precisely the point. Perhaps we’ve grown so accustomed to the luxuries that Canada affords us that we now have trouble discerning between the meaningful and the inconsequential; the significant and the trivial. Complaining about wait times to cast a ballot is the definition of a first world problem. Don’t vote out of guilt. Or spite. Or any other evocation of emotion. Vote because you want to. No, you don’t have to vote. Mandatory voting is something Canada does not have and something I hope we never see come to legislation. Legally obligating citizens to vote goes against the very democratic principles from which our elections were founded. So, no, you don’t have to vote; but you should want to. That is, if your vote is an informed one. Being informed is an integral part of being an active citizen in any society. One common argument against people who don’t vote is that they forfeit their right to complain about ongoing issues. This is also wrong, and undemocratic. Nobody ever forfeits their right to free speech; but as another friend astutely pointed out earlier today, just because you have the right to your opinion doesn’t mean anyone else is obligated to listen to it. Moreover, if you didn’t vote, and didn’t take the time to study the issues, to what end are you complaining? Not taking the limited amount of time required to acquire even the most basic knowledge of each candidate’s agenda equally falls into the first world problem category. It goes without saying that elections are important, and long lines at the advanced polls are a great sign for Canada. In a nation where voter turnout for the last two federal elections in 2008 and 2006 were 61.1% and 58.8%, respectively, the already 71% increase in voters this time around speaks volumes. People not only care and are passionate about the issues pertinent to them, but want their voices to be heard to resolve those problems, as they should. Canada is a great country, but make no mistake: we have a lot of problems. Long voting lines are not one of them. Embrace them tomorrow.